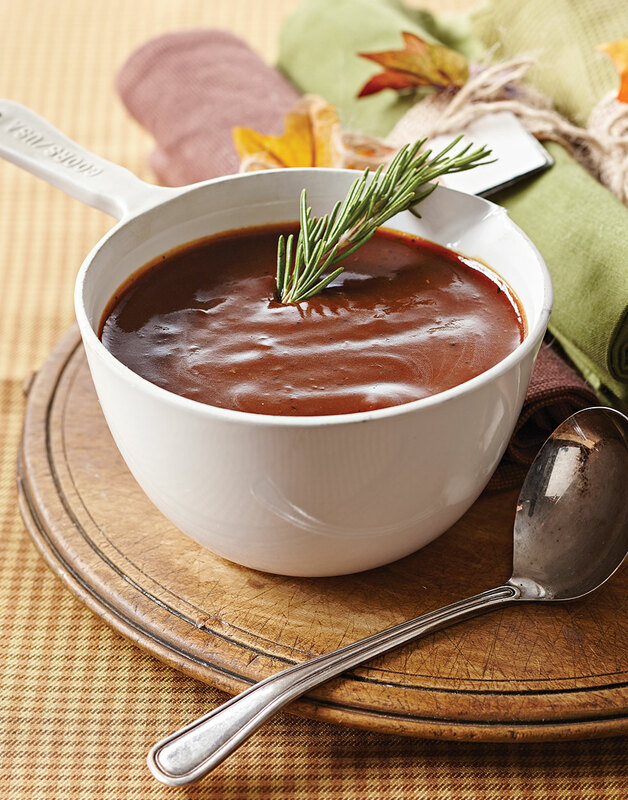 Put the (turkey) drippings left over in the bottom of your roasting pan to good use by turning them into a rich gravy. Heat drippings in roasting pan over medium. Whisk in flour and cook, whisking constantly, 2 minutes. Slowly whisk in chicken and beef stock. Simmer gravy, whisking constantly, until thickened, 10–15 minutes. Strain gravy through a fine-mesh sieve; keep warm until ready to serve.